MANILA -- Senator Panfilo Lacson said Friday the alleged PHP160-million "pork" allocation for each member of the House of Representatives in the proposed PHP3.757-trillion national budget for 2019 is "too much and unacceptable." "(PHP)160M pork for each congressman, and billions more for a few others plus (PHP)23B for some senators on the DPWH budget alone is too much and unacceptable," Lacson said on a Twitter post. "I may be outvoted eventually but I'm willing to go down fighting, confident that some like-minded colleagues will do the same," Lacson said. 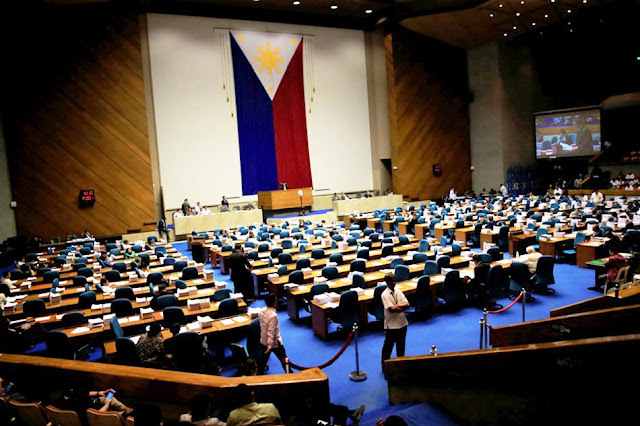 "Considering the numerous allegations being leveled at the 2019 budget both from the HOR (House of Representatives) and the Senate, I will propose to Senator Loren (Legarda), as chair of the Finance Committee, to withdraw the Senate GAB version and go for a reenacted budget," Sotto told reporters in a text message. "I hope that will erase all doubts and allegations of pork and other so-called insertions in the budget," he added. "We would like to assure the voting public, and our government personnel that the DBM will source the necessary funds for the mid-term elections and salary adjustments," she said.